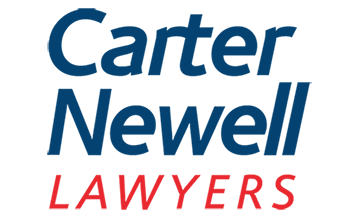 A recent decision of the New South Wales District Court has highlighted the importance of solicitors maintaining file notes of discussions with their clients and any oral advice or instructions communicated during those conversations. On 21 November 1999, the plaintiff (Mr Kendirjian) suffered injuries as a consequence of a motor vehicle accident. Subsequently, in 2004, he commenced proceedings in the New South Wales District Court (Personal Injuries Proceedings). On 13 October 2006, the plaintiff obtained judgment in the sum of $308,432.75 plus costs in his favour. Being dissatisfied with the damages award, the plaintiff appealed that decision, but was unsuccessful. In 2012, the plaintiff commenced the current proceedings against the solicitor and barrister who acted on his behalf in both the Personal Injuries Proceedings and the appeal. On the first morning of the hearing of the Personal Injuries Proceedings, the defendant in that case offered to settle the Personal Injuries Proceedings for the sum of $600,000 plus costs. The plaintiff alleged that in breach of their duties of care to the plaintiff, the solicitors and barrister failed to advise him about the amount of the offer, but merely advised that the offer had been made. According to the plaintiff, the solicitor and barrister rejected the offer without 'any express instructions from the Plaintiff but based upon the advice of the [barrister] that the offer made by the defendant was "too low"' (Settlement Offer Issue). The damages said to have been suffered by the plaintiff as a result of the defendants’ breaches were the difference between the offer in the Personal Injuries Proceedings ($600,000 plus costs) and the award of damages ($308,432.75 plus costs). While it was ultimately not relevant to the decision, of some interest is that the defendants originally obtained summary judgment against the plaintiff in the New South Wales District Court on the basis that the proceedings were not maintainable against them by virtue of the operation of advocates’ immunity. The plaintiff’s appeal to the New South Wales Court of Appeal was unsuccessful. The plaintiff obtained special leave to appeal to the High Court of Australia. Following a hearing in the High Court,1 the High Court allowed the appeal based on its decision in Attwells v Jackson Lalic Lawyers Pty Ltd2, in which the High Court held (in summary) that advocates’ immunity did not extend to negligent advice which leads to the settlement of proceedings. The High Court remitted the balance of the matter to the District Court for hearing.